Contrary to popular belief, vendor management is not just about getting the best deals from vendors of getting the upper hand in a business relationship. 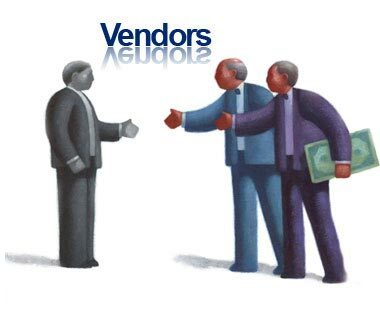 In fact, a vendor relationship will absolutely not be successful if both parties do not work to benefit one another. For the enterprise, quality and value are important, as well as mitigating risks. For the vendor, providing a quality product and developing a long-term, financially stable relationship are important. These desires go hand in hand and neither organization can have what they want without also helping the other achieve their goals as well. Here are a few tips in creating a dynamic and successful relationship with your vendors. Be transparent from the beginning and make sure to talk through goals, roles and expectations. Neither of you can do a good job if you do not know what the other party is expecting or wanting. Rather than assume, take the time to sit down and outline a strategy for the relationship, including where your goals overlap or perhaps even where they diverge and how you can address that. Recognize the expertise of your vendors and include them in important company conversations that will affect them. They may often have a frame of reference from a vendor perspective that you simply are not seeing, and their input could help to save you money, get you a better value or even help you refine your strategy going forward. Simultaneously, they will ell more allegiance to you when they are involved in the decision-making processes that concern them and their business. Always keep your eye on long term success and talk about it often. The longer a relationship is in place, the more you can help each other. Analyze data from your vendor management software and work with your vendor to determine long term goals based on that data. Are there things that are working well? Things you want to improve? How can you improve these things together? Challenge each other to provide the best service possible. This might mean negotiating, disagreeing or even utilizing risk management services to determine if a relationship is still beneficial to both parties. It is smart to always stay vigilant about your own practices and make sure you are both doing everything you can to run your businesses in the way that you planned based on the initial goals you set for yourselves and your relationship. Understand that you may have to make changes to product agreements along the way. Sometimes pricing changes or product quality changes and vendors will understand that this could affect your bottom line. When you have a good relationship with your vendor as well as good contract management software, you should be able to come to a new agreement that benefits you both and allows you each to deliver the same quality that made your relationship successful in the first place. Vendor relationships are a crucial piece of successful business ventures and should be cultivated and nurtured on an ongoing basis to ensure long term marketplace success. This entry was posted in A96 by Olivia Moffett. Bookmark the permalink.